Being a HUGE fan of The X-Files there was no way I was going to let David Duchovny’s debut novel pass me by but while Agent Mulder can glue me to the tv screen, can the actor enthral me with the written word? Elsie’s like any teenage cow, growing older and becoming more mischievous. One evening, when she breaks out of her pen she ends up peaking in the window of her farmers home to see the entire family huddled around a glowing Box God. The box reveals the truth about her future at the farm, what will happen to every single one of the doomed cows and what has already happened to her mother. She returns to her herd a changed cow, she can’t bear the idea of the future that’s set our for her so constructs a plan to escape. All she needs to do is break free from the farm and get to the nearest airport to venture to a land where cows receive the respect they deserve…India. 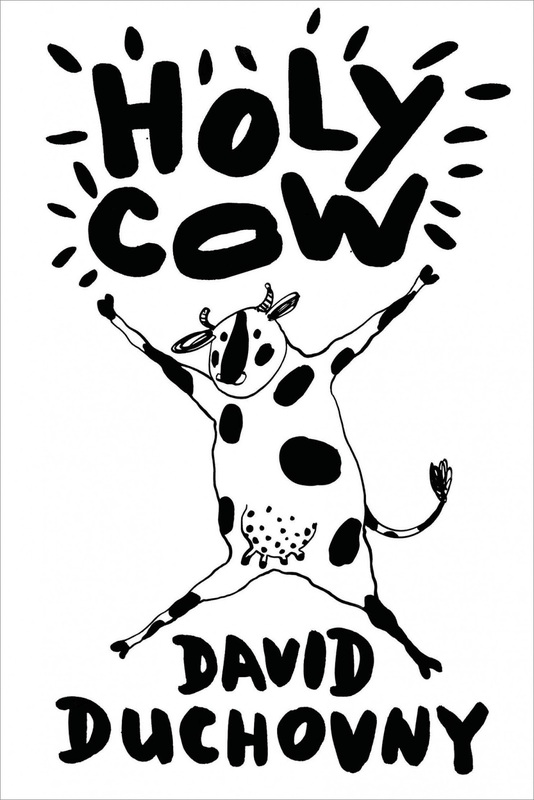 Holy Cow is a whimsical, humorous look at religion and friendship from a truly unique narrator. It is also completely mad but knowingly and unapologetically so. Elsie and her companions are equally witty and silly but overall great fun to read. Holy Cow is quite short at just over 200 pages including illustrations and you will find yourself racing through it due to it’s structure but this just adds to the light-hearted style it encapsulates. Fast, funny and genre defying, Holy Cow is sure to be a Marmite book that some will criticise for too much swearing and not being as literary as Duchovny obviously has the skill to write. From this readers point of view it was engrossing, unique and fun, leaving me hoping that there will be more books from David Duchovny in the future. Buy your copy of Holy Cow by David Duchovny from Amazon here.